See scan - perfect condition. 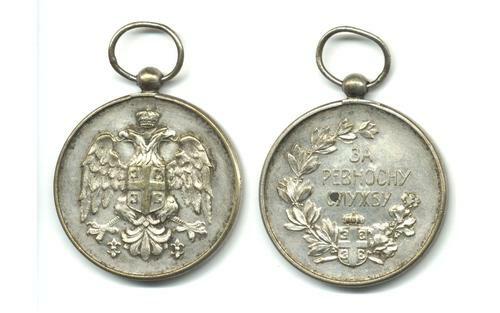 This is a nice Serbian / Yugoslavian Royal WWI medal for Zeal - 2nd type with spheric / ball like hook on top. Nice militaria / military collector piece and one of the nice Serbian medals.